The Kingbridge Centre. 12750 Jane St, King City, ON L7B 1A3. AT clinic owners can register themselves and bring upto three other members of the team (regardless of whether they are OATA members) for the price of just TWO EARLY BIRD MEMBER registrations. Register your team members as 'guests'. OATA Candidate Member. Early Bird lasts until February 28. Candidates are seated on the balcony. A certified member of the OATA in good standing. Early bird lasts until February 29. Open to all other health-care professionals. Early Bird ends February 29. Physician registration. Early Bird ends February 29. Cabdudate members who are Dedicated Learners may use their coupon codes to register with a $25 discount. *Coupon Codes sent via email. PLEASE MAKE SURE YOU LOG INTO YOUR PROFILE BEFORE REGISTERING AS A MEMBER. Certified members who are Dedicated Learners may use their coupon codes to register with a $25 discount. *Coupon Codes sent via email. PLEASE MAKE SURE YOU LOG INTO YOUR PROFILE BEFORE REGISTERING AS A MEMBER. Students of any heathcare profession can register between March 1-8 for a special price of over 50% off! OATA candidate member registration after February. Last day to register- Sunday, March 24. Candidates are seated on the balcony. 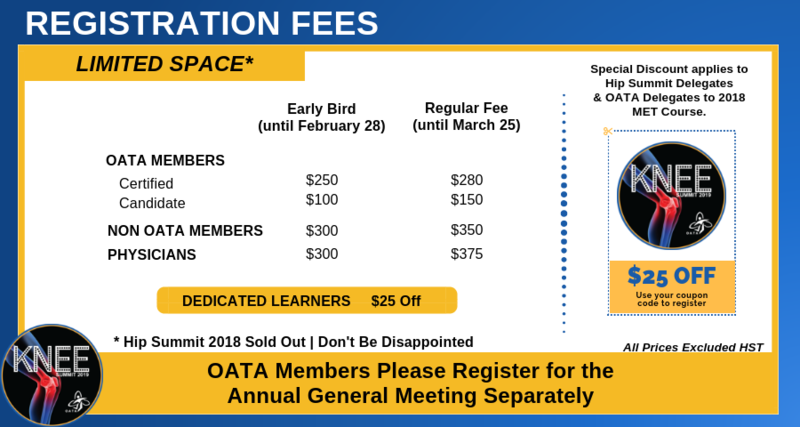 Certified OATA member registration after February. Last day to register- Sunday, March 24. Non-Member registration. Registration closes Sunday, March 24. Physician registration. Registration closes Sunday, March 24. All registrants will now be seated on the upper level balcony. 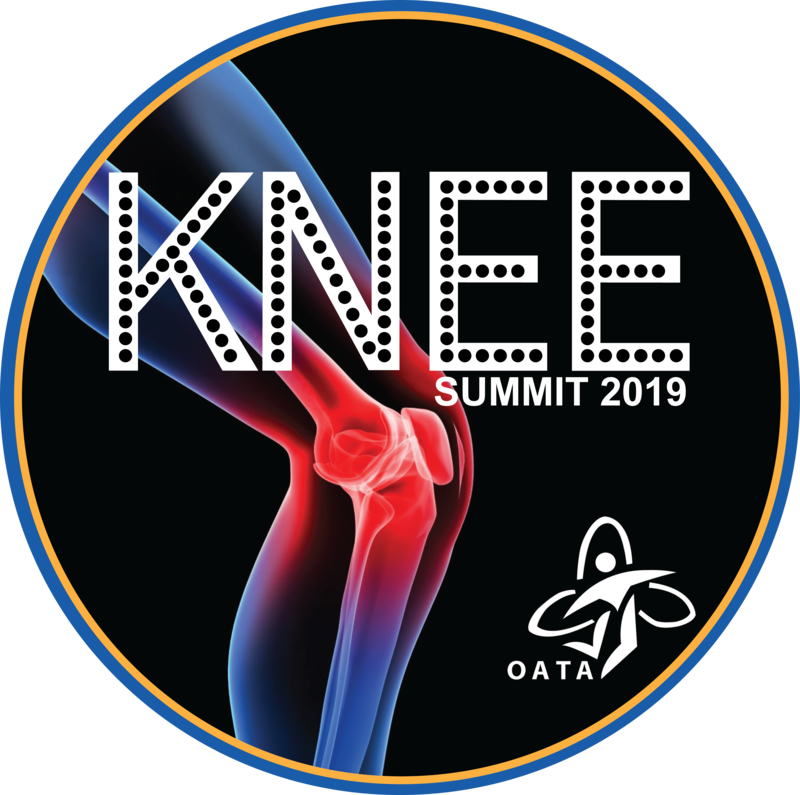 Please Note: This is to register for the KNEE Symposium ONLY. OATA members who want to attend the annual AGM that begins after the summit MUST register for the AGM separately. The AMM hold 1 CEU.